This was an event that had been in the bookings for almost a year, and the night had finally arrived. 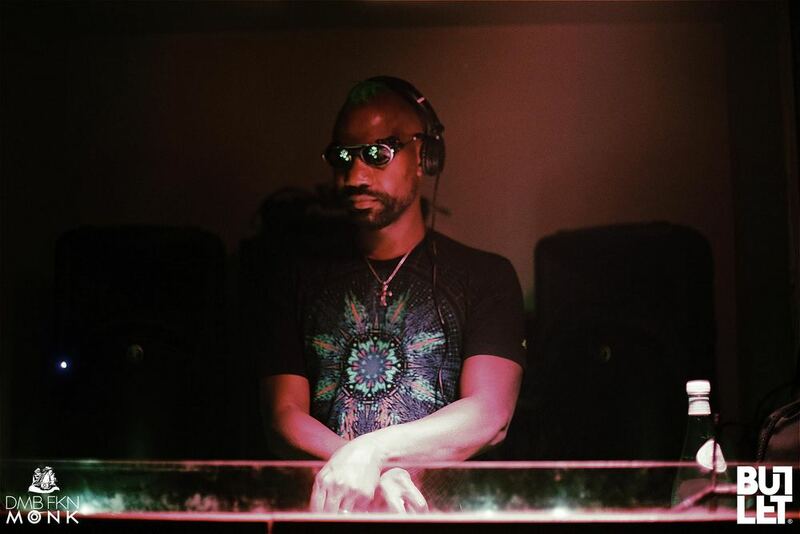 Not only was this a legendary DJ from the infamous city of Chicago, but Green Velvet was named the #6 charting artist on Beatport’s top artists for 2015. We were in for a night of experimental tech house that was about to have the entire venue vibrating. Arriving at Halo Lounge, I knew immediately this was no underground venue like Music Room or Sound Table, my usual haunts. Halo is an upscale bar and lounge, and though the space is not large by any means, their use of multilevel VIP sections and dance floor have been implemented to capitalize on square footage. When you first walk in, you immediately notice the large lit up marble bar and swanky fashion videos being projected on the wall. The place tends to pack out quickly, so it’s best to head upstairs to the dance floor to claim your spot. The sound system this evening was turned up, heavily so on the bass. Even lighter, jungle house tracks were causing the entire floor to vibrate with the deep bass line emitting from the speakers. Bobi Stevkovski’s opening set started out with his signature choice of intricate house tracks, quickly evolving to a tech house set. His energy, though always bouncy, was especially jazzed up tonight. With a smile constantly on his face, his attention to detail and track selection was on point tonight. As I look around to observe the crowd’s energy, I notice this is not the usual crowd I often see along my more frequented venues. The crowd is interesting. A mixture of a candy club scene and techno junkies, you can tell who is here for the DJ and who the regulars are that come strictly for the venue. The dance floor is located on the top floor, with a low ceiling and modest lighting. Red strobes unobtrusively scan the floor as free open space becomes a thing of the past. As the man of the hour, Green Velvet, steps up to the booth the crowd fills up the remaining dance floor, leaving no room for stragglers. His set immediately starts out fast and hard, true to his signature experimental reputation. Now the bass amplification really becomes apparent. I can feel it vibrating my entire body, creating what felt like a layer of static electricity over all of us. If you listen to Green Velvet’s monthly podcasts with the label "Relief," you can get an idea of the intensity and innovation of his set. His look matched his sound, with his trademark green mohawk and futuristic shades, his set was equally as vibrant and modern. There were no soft, easy points to the set as there often are with house sets, this guy kept up a mind blasting pace that kept his patrons moving non-stop up until the very last note. Though he has been in the production and performance business for quite some time now, his new release of "So What" remixes alongside Carl Craig and a busy touring schedule only prove he still has more to give the world. Green Velvet seems to always be seeking unsought avenues of sound. With DJs like him coming in, Atlanta is only further proving that we are earning ourselves a spot of this underground map. Kristin is Media Relations Manager and Atlanta native. Music is her passion (duh), but so are planes, trains and automobiles. Basically anything that will get her to the next adventure. Other talents include awkward yet unashamed dance moves, terribly punny jokes, and finding hidden spots around Atlanta.